This is a story taking a little over half a century to unfold, and at the same time it is a promise of what is yet to unfold. It is a tale that is neither epic nor incidental. It’s personal, yes. I could claim it’s only about me. But somehow it seems much bigger. Whatever it is, Proctor is at the center of it. Kate Newick, Chloe Duchesne, Scott Allenby, Brooks Bicknell — we had been talking about it for a while. 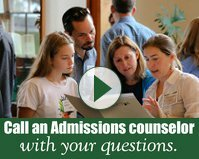 Alumni needed to know more about what my generation deeply believed in but were never offered the supportive experience of that life beyond U.S. borders that now is Proctor. And there was the personal matter. 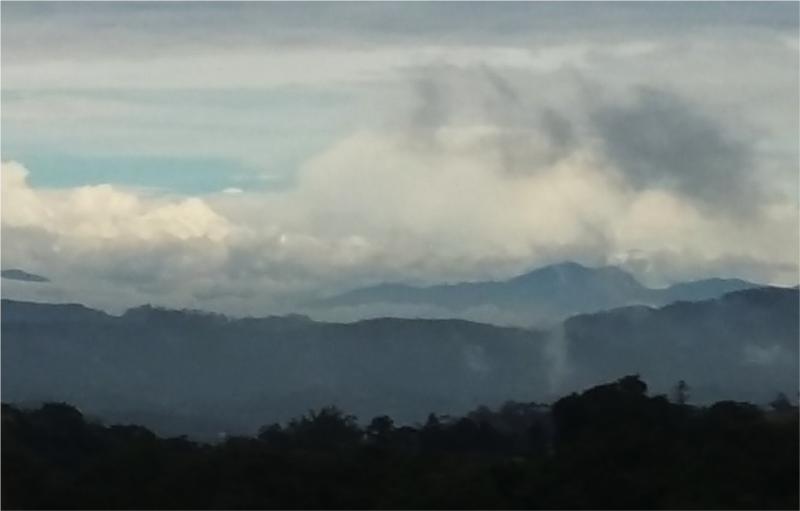 What would it be like for someone like me, now a resident of Costa Rica, to visit the Cloud Forest School in Monteverde? To see a unique version of how I once was, and how Proctor now acts globally? There was something else in the back of my mind. How often it is among Americans who go overseas in school to never see evidence that there are those like them who actually live here. In my youth I looked for role models overseas — those who maybe once came for the experience but in the end found a home here for a reason. Only now can I truly say, I am an immigrant, and I know why. Most people learn a second language convincingly in childhood. I, however, like most U.S. secondary school students, would start in my teens. Fifty years ago, Proctor had no international programming, but Proctor did have a teacher who gave me the confidence to enroll in a 1966 summer program in Saltillo, México. I travelled alone arriving in the dead of night to meet a family I did not know in a land I had only read about where the power of English was marginal at best. Physically, it would have a cost. I weighed into Mexico at 140 pounds. Six week later I was at 119. That summer with a family in Mexico would be a life-changer. Spanish would open a second front for me. In spite of an opening round with amoebic dysentery, I had escaped the protected world of school and family, and entered a kind of parallel universe – different, mysterious, and yet accepting of me in an entirely new way. A Proctor teacher back then had put a powerful idea in my head. It wasn’t so much about building a new life in a different culture powered by a new language. It was this idea of learning how to suspend English. Literally, pushing it out of your head, for a while at least, to allow for something else. Once you do that, he claimed, everything else will sort of creep in. Today I wonder what Proctor’s five in Monteverde are thinking? How are they experiencing this new nation and its people? Now more than fifty years later, I would be seeking a dialogue with the hearts and minds of those with whom I felt kinship. The dates were set: three days in January. 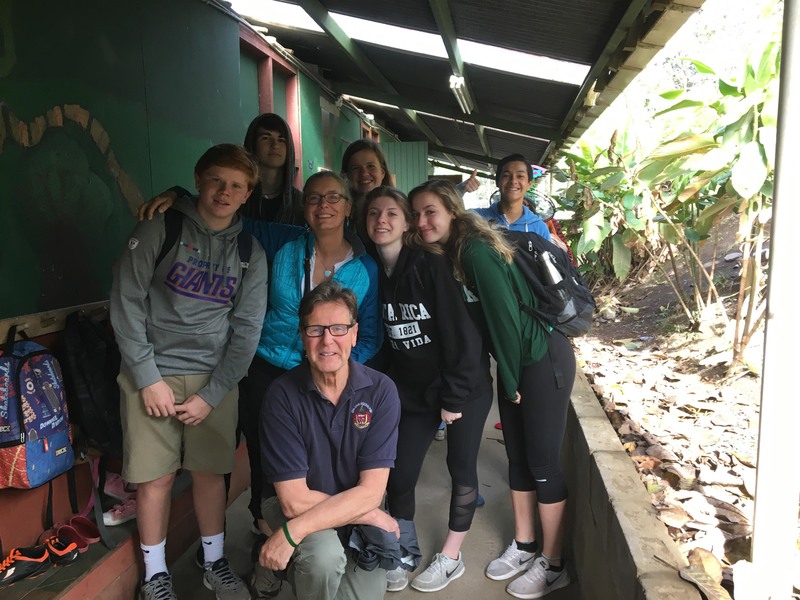 Coincidentally, Proctor in Costa Rica program director, Brooks Bicknell, and Assistant Head of School Karin Clough were there at that same time for Proctor’s own overview. I talked with students, two at a time and with the promise that names would not be associated with their comments. As it turns out they were largely more than happy to have their names associated with their comments, but I wanted to focus on them as a group experience. 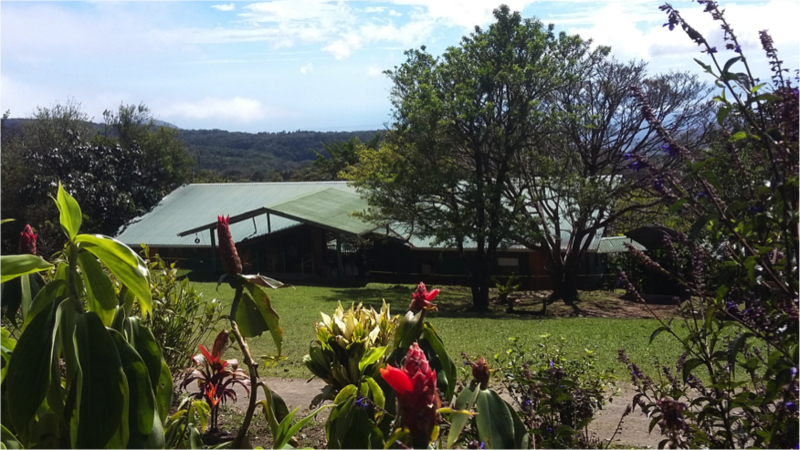 Proctor chose well in selecting the Cloud Forest School (CFS) for its Proctor students. 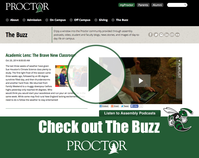 It did not take long to note how consistent this school was with Proctor’s mission, Proctor’s values. In fact these values transcend nations. And certainly Costa Rica is long-standing party to that. Overall CFS works to provide students with the knowledge, values, and skills needed to make environmentally and socially conscious decisions on a local, national and global scale. Yes, that sounds great, and we are all on board for that. But there was something unique at work here. 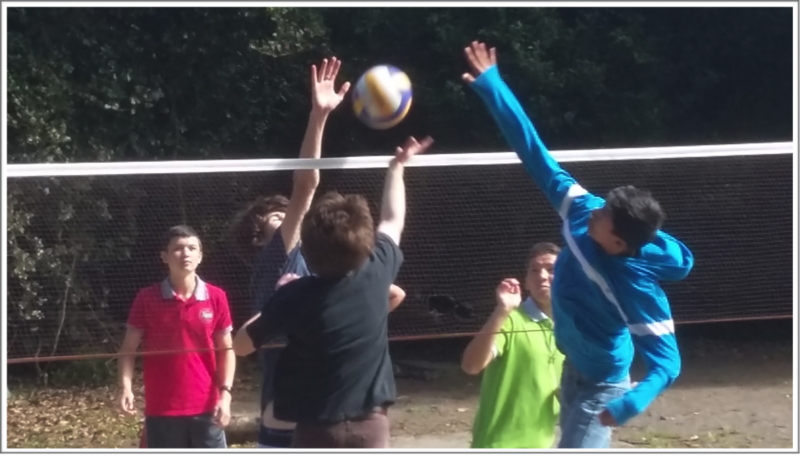 At Monteverde, Proctor sophomores actually become the newer members of CFS’s 200 student, Kindergarten through 11th Grade, 95% local Costa Rican, 5% international, fully accredited Costa Rican learning community. Here was a school whose sheer authenticity and passion would prepare the way for ecologically aware, academically rounded, and bilingually equipped individuals. And they do it from childhood’s earliest days. Courses are in both Spanish and English. Spanish is the dominant language of daily life. And all of this within a tropical cloud forest, and the rarified life which it supports, part of a lonely 1% of such habitats left on this planet we call home. “It is so amazingly gorgeous here!” Each Proctor student said it in many different ways, but it all came to the same conclusion. There was something palpable about being in the center of rarified beauty that made the challenges of culture shock morph into cultural acceptance. From the CFS’s 106 acre private forest elevation at 1,350 meters (almost 4,500 ft.), the Gulf of Nicoya shimmers in the distance with its multiple islands, it’s waters opening to the Pacific, its sunsets that cannot help but force one to stop and review what that day brought. The reasons were many: they were part of a new unit, they were a part of something undeniably Costa Rica; they had brothers and sisters of all ages, and often it was the experience of siblings they never had back in the States. They loved the new food and making it; being part of “what was needed” for the family, and the sheer joy of having preschoolers run to greet you as you come home to the family. Sharing music, sharing a new way to be real through language, not being judged, being supported. Sharing food, cleaning up. More than once students mentioned they definitely wanted to, in fact needed to stay in touch with their host families. The power of family dynamics clearly translated into intergenerational connections during the school day. It started with a bus ride. The CFS provides a bus service for all its students. Some can walk, but the school’s location makes the bus a necessary form of transportation. All ages are on that bus. This is where a school mission of stewardship of the land translates into a stewardship for each other. The internal choreography of the bus sets the stage for understanding across age groups that, in another culture, might not be so visible. Two Proctor students talked of their “favorite 3rd grader.” And it wasn’t just talk. My interview with those two girls would just have to wait until they connected with someone special. My own stay with the CFS was a Wednesday, Thursday, Friday in the last week of January. My own home-stay was with a Kindergarten teacher and her family and four boarders. Her house gave me a sense of what Proctor students enjoyed, even though all the people of this house were adults. My first night someone brought in uprooted frijoles plants — lots of them —into the main floor of the house, dirt falling off the roots throughout the kitchen. Without instruction, we formed two groups, those who would strip the pods from the plant and fill large metal bowls, and the second group would take the bowls to split the pods and then push out the beans, to reveal the Costa Rican staple of frijoles rojos. Throughout the night we talked about the upcoming election, the problems with the national transportation infrastructure, the plight of indigenous peoples within the country and their environmental battles, and, yes, what did I think of Trump. I was the new one. I was worthy of doing what had to be done for the upcoming meals, and worthy of inclusion in important discussions. The following morning several guys in their late teens from the neighborhood joined us, just for coffee. They worked with one of the house members. And they would all go off together, every morning. The boys each had their own coffee mugs, and pegs for their own bike helmets. It was the choreography of breakfast among family and among extended family. Almost every aspect of school life reflected this uncontested idea that the school is extended family. For all the awkwardness a new language and a new culture can throw at one, even if a goal seemed insurmountable, they made the goal fun because … because they believed in you, because you were that good: You can do this! One of the more academically interesting elements I found shared by Proctor students were their thoughts about the role of Spanish in their lives. What did they know before they came to the CFS? What role did they see Spanish having for them, now and in the future? Did Proctor help them to get to this point? Though all five came from the Northeast U.S, each arrived, let us say, from different platforms. There were those who arrived with only standard Spanish coursework and having no idea what to expect, as well as those who began Spanish in the early elementary school grades, to those who came from homes where Spanish was spoken at home. 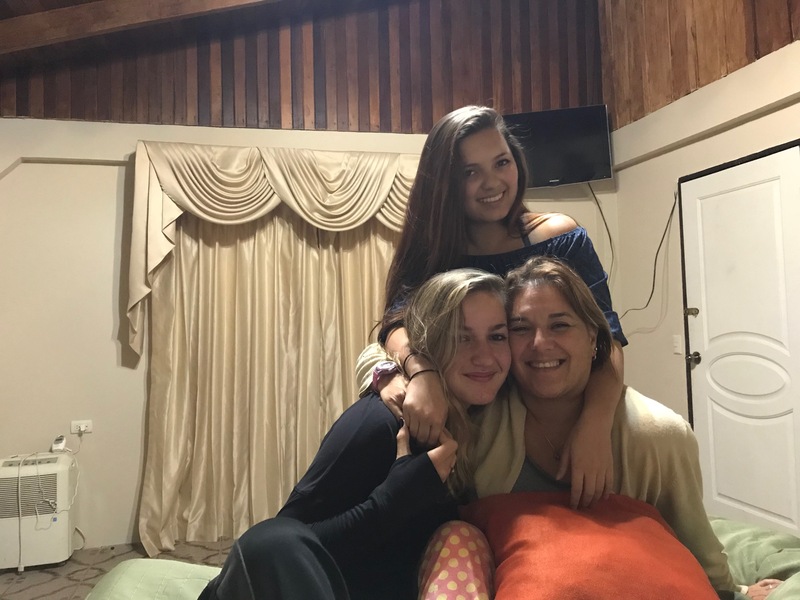 A few had travelled in the Spanish-speaking world significantly, but were quick to point out that traveling with your US family and living in a Spanish-speaking nation on your own were two entirely different experiences. Those who were relatively new to Spanish admitted the challenge was a good one, and in fact was leading two of them to go on to Proctor’s Segovia Program. There are moments and days, though, when life is clearly hard and frustrating. One’s limitations with the language frustrate. And that is just the beginning. Infrastructure, pricing, currency denominations, brand names, hours of daylight, social custom, measurements for distance, weight, volume, temperature. — all of this changes upon arrival in Costa Rica. The depth and complexity of one’s life heretofore achieved, one’s personality, sense of humor, the longing for the cultural familiar, one’s sense of purpose, love and fear must now all be distilled into the basics of a new and seemingly inadequate language. There is the hidden hope that this scaffolding called Spanish will become the life project itself which functions seamlessly on its own. And that takes time. It takes patience. And it takes an environment where time and patience will pay off. “You just have to power through it!” Nobody disagrees about that. Spanish has been by far more about listening and speaking. 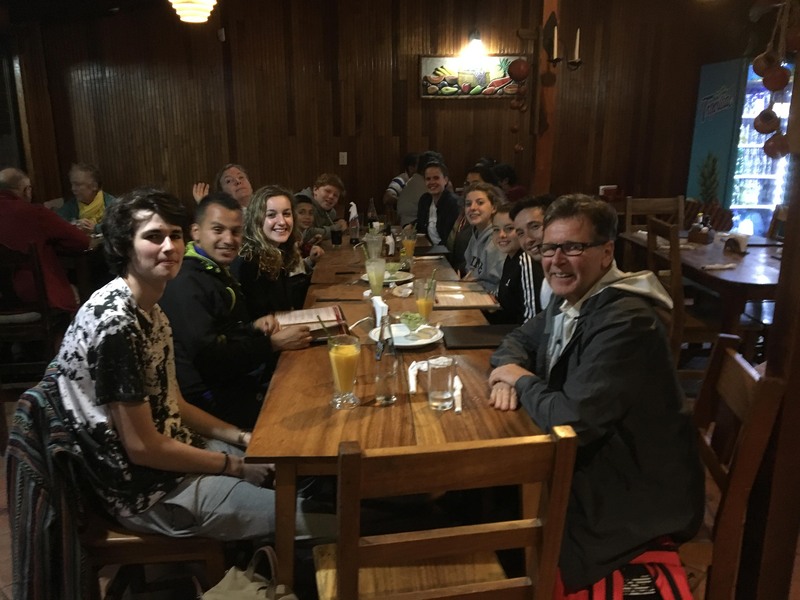 Reading and writing in standard U.S. coursework were definitely appreciated, but at the Cloud Forest School it was continually about the ability to listen, comprehend, appreciate, and respond. Spanish, as Proctor’s students confirmed, was all about context. It was more than simply opening up minds; it was actually allowing new joys and discoveries to sink in. Discoveries that defy explanation because anything we might know in English may not ever find translation here. Almost every student mentioned the power of hearing new music, of learning so much about the language that way. And although no student mentioned it in particular, great lyrics alone do not make a great song. It is the power of music to transform words. And it was then that you knew you were living Spanish. Dyslexia and Spanish surfaced in interesting ways — specifically how dyslexia made second language acquisition more difficult, and, curiously enough, also how it made competency growth easier. Much of this difference in opinion seemed to be rooted in whether students were first exposed to Spanish through reading and writing — the visualization of Spanish on a page as the dominant influence or through travel and exposure to multi-lingual communities as their dominant lead-in to the language. 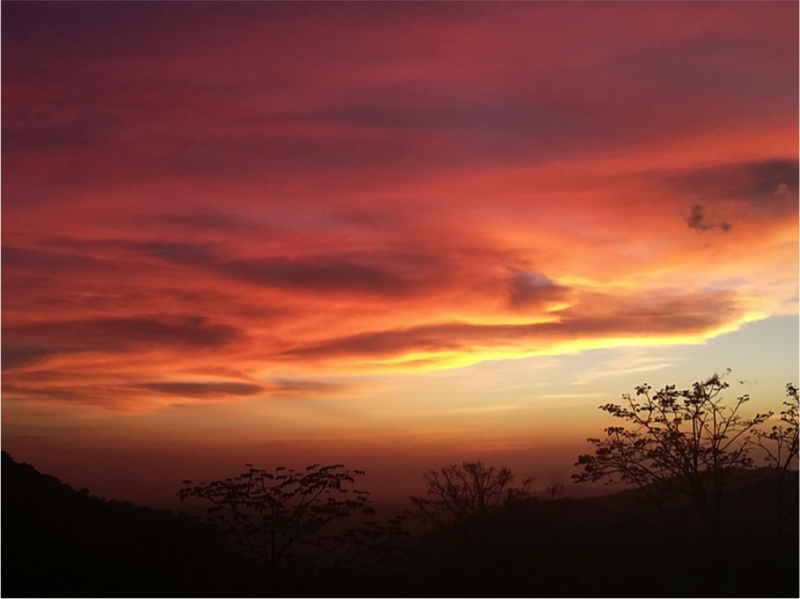 One student in particular thought dyslexia was a kind of relief now that one was in Costa Rica. Listening and responding without text is what most people do in this small but educated nation of just under 5 million inhabitants. 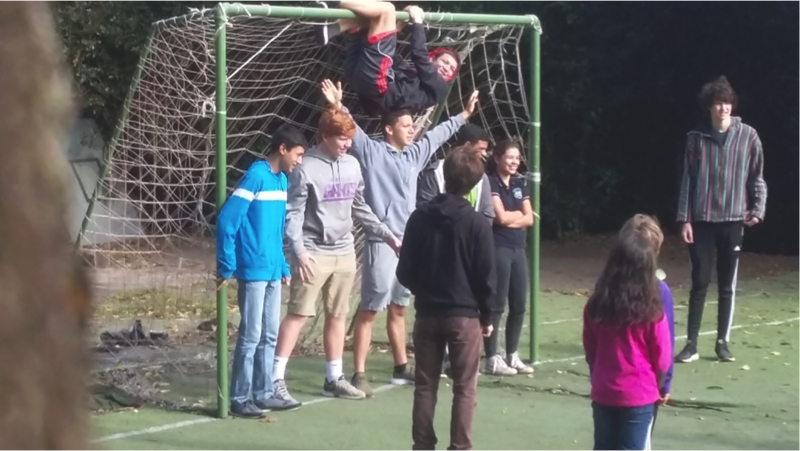 My final hours with Proctor at Monteverde were spent in a somewhat iconic late-in-the-day fashion — watching a CFS soccer practice on the local municipal soccer field. All Proctor and the local Tico (the term of choice for all things wonderfully Costa Rican) kids had secured the field for the afternoon. 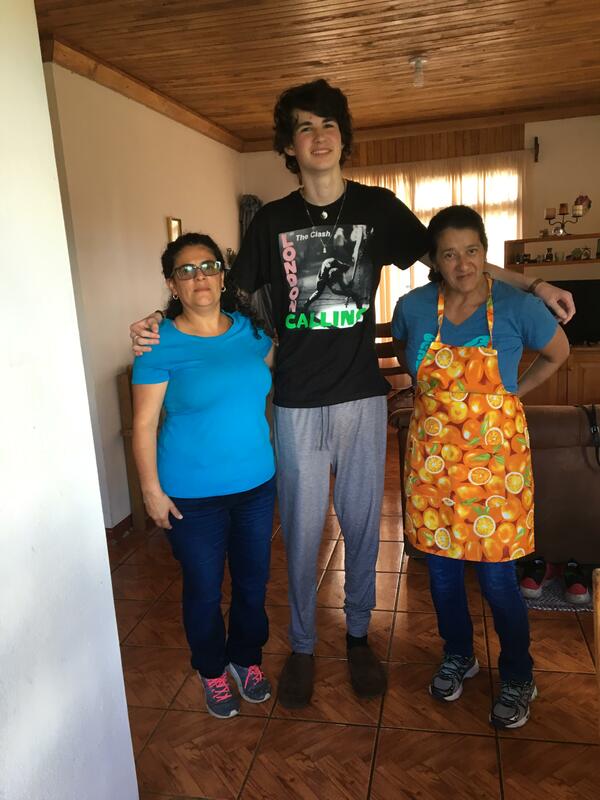 Brooks and Karin were there on the sidelines, as was Kathia Corrales, who coordinates the Proctor home-stays. Kathia and I go back some ten or more years, when she would organize amazing horseback expeditions for my own students from John Stark Regional High School in Weare, New Hampshire. I was glad to see her again and catch up with her family. As the sun slipped behind the ridge, it turned cold and blustery, with a wind-spitting rain called pelo de gato. The thermometer inside the caretaker’s hut said 16ºC. We adults pulled ever tighter what clothing we had on. The kids, in the heat of the game, were doing fine. After the practice, we all crossed the street to Sabor Tico, a favorite restaurant, where we put together enough tables for the entire team, Brooks, Karin, Kathia, Robi Jaffrey, the International Coordinator, and several other CFS faculty, and me, who had the rare privilege to be in the midst of all that welling up of sound. A student across from me was talking about how different Coke tastes in Costa Rica. “Here, try it. It’s fresh. ” I returned the favor by giving him a sip of my Maracuyá. He smiled. “Different.” And then that crystalline moment. “So, you graduated from Proctor in 1967?" I think I just nodded. For a moment in time I felt like a 16-year-old kid, oh deep on the inside to be sure. A Proctor kid had taken the time to put me in perspective, his perspective, the only one that mattered, really. I never said thank you to him for saying that, so I am saying it now. His comment was incidental, but it was epic for me. The story had come full circle. Life goes on. And it renews itself. I was, and still am, part of the tribe that makes good things happen.